My mother was telling me that it's very trendy this year to avoid going abroad on holiday, and to stay in the UK instead, going back to your roots to the places you went to as a child and taking your own children to do the things you used to do. In which case, I'm up there with the trendy set. The boys and I have just come back from spending 3 weeks in the UK, one of which was in south Wales opposite where I used to go as a girl to stay with my granny. 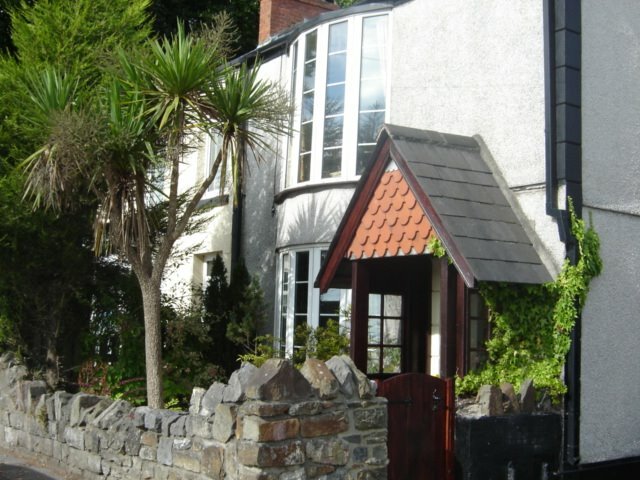 We rented a cottage just outside Mumbles which happened to belong, in years gone by, to a friend of my mother's. We had the sea just opposite and a free paddling pool and play area at the 'Lido' in front of the old station where the Mumbles train used to stop on its route down to Swansea. My mother and I took the boys to wiggle their toes in the bay's muddy sand when the tide was out, we had barbeques in front of my granny's old house which was 5 metres from the sea wall and made collections of shells to decorate the beach with. 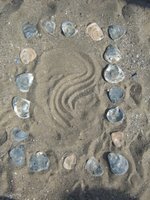 Despite living in the the video/DVD/Gameboy age, the boys had marvellous fun visiting the various beaches each with their own characteristics : waves suitable for surfing in Langland, rock climbing in Little Langland, rock pool hunting in Pobbles and diverting the waters in Caswell. Caswell even had a spot of quick sand from a fresh water spring that bubbled up on the beach, over some solid rock a foot or so below so you went down to your knees as you walked through it, but no deeper. My youngest found it thoroughly fascinating. As we trekked along the cliff-tops to Pobbles, we saw a cow and her calf sitting down facing the sea for all the world like two tourists admiring the view. It was a jolly good one too, so I'm not surprised really that the cows appreciated it! On Sunday, we went to church at Clyne where a lady who had known my grandmother came over to tell me that during the service she had looked over, and at that particular angle had seen my grandmother in me. As my granny had been a very severe lady - not one known for having a laugh, I was intrigued by this until my mother told me that I could look very severe too. Well, blow me, if only she'd told me years ago I could have used such a talent to better effect and been a right old harridan when I chose. Damn, it would have been mightily useful against my ex, I can tell you. He could enter competitions for looking severe and he'd leave everyone else looking like they were Bambi! My only consolation is that I might not be taken for a pigeon (soft touch) in my advancing years at least! In the meantime, we ate superbly, scoffing Welsh cakes, Dover sole, Welsh lamb, Welsh bacon (to die for), cockles and fresh bread. Swansea market is a foodie paradise with fish just off the boat being sold by the guys who had caught it during the night. My youngest discovered the sheer delight of new potatoes boiled in their skins and doused in Anchor butter and parsley and ate 5 one evening he loved them so much. He's a real Anchor butter fan now. It's such a shame we can't buy it in France and I've heard that the EU is even thinking of banning it altogether. I hope they fail. Bloody EU. 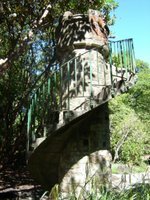 On our last day we visited the tower in Clyne Gardens which I used to think was huge, where the boys enjoyed battles and armed combat as I had with my brothers. It used to have a view over to the sea but is now surrounded by trees and shrubs. My mother used to play there, my brothers and I did, and now my boys were. There's something which feels terribly good in one's giblets when you keep your past alive through new generations. After lunch, we spent a lazy afternoon on Mumbles pier which houses the lifeboat shed although it was not 'at home' when we were there. It's a popular place for fishing and we observed the savage goings on of fishermen who spiked worms and other poor little creatures and then sent them to their deaths in the murky waters below. Sometimes they caught small fish to use as bait for the bigger ones, keeping them alive in cool boxes fitted with air pumps. We finished up with an ice-cream cornet as big as a bus which my youngest had trouble eating without it disintegrating everywhere (clothes, shoes, chair, floor) but kept at it, and even managed to win, demolishing it before it capsized onto the floor. I can recommend going back to your roots. Nostalgia adds a comforting layer of pleasure and removes the stress of the unknown from your holiday. Kids love going to where mummy used to go and doing the things mummy used to do, especially if grandparents join in too. A family holiday in the truest sense of the word. Blackpill. Sounds like a lovely holiday. 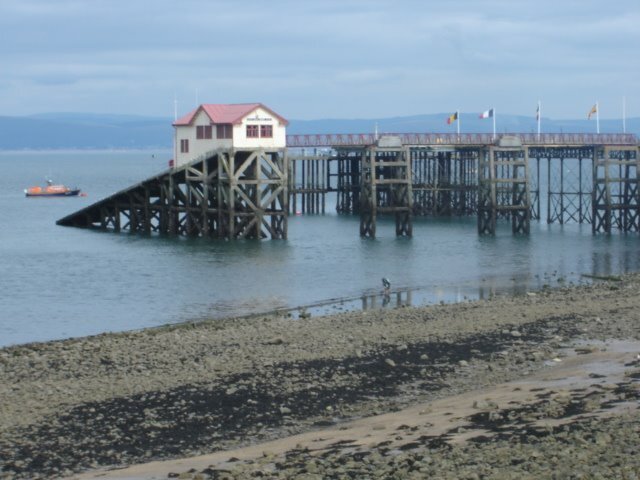 I lived in Swansea (Cwmbwrla) as a child and still have relatives there. In fact I'm old enough to remember the steam trains running along the seafront as well as the Mumbles train. On a stormy day the spray would come in at the windows and the wind would rock it about - slightly scary. The Mumbles cliffs used to be illuminated at night by coloured lights hidden among the rocks - it looked fantastic. Don't know why they stopped doing it. Joe's Ice Cream Parlour ?